1. Laddar for rack. Cool way to display a plant and save space for garage. 2. Bulb ball lighting. How amazing are they? I also love the black cabinets. 3. Dark grey wall. It can be a chalk board too. 4. 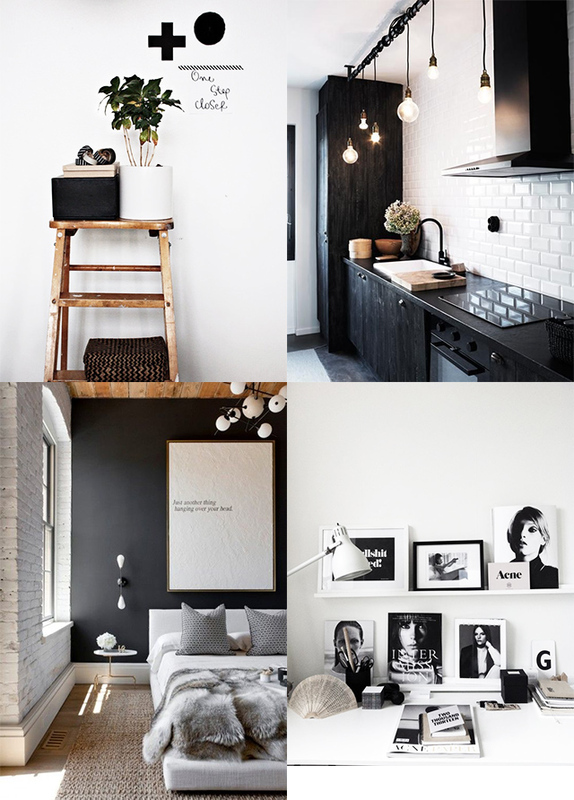 Black and white picture frames, with black and white everything.